In a large bowl combine oats, nuts, coconut, and brown sugar. In a separate bowl combine maple syrup, oil, and salt. Whisk until well combined. Add syrup mixture to oat mixture and stir until oats are thoroughly coated. Divide mixture onto 2 large baking sheets. Bake for 1 hour and 15 minutes, stirring every 15 minutes to achieve an even golden color. 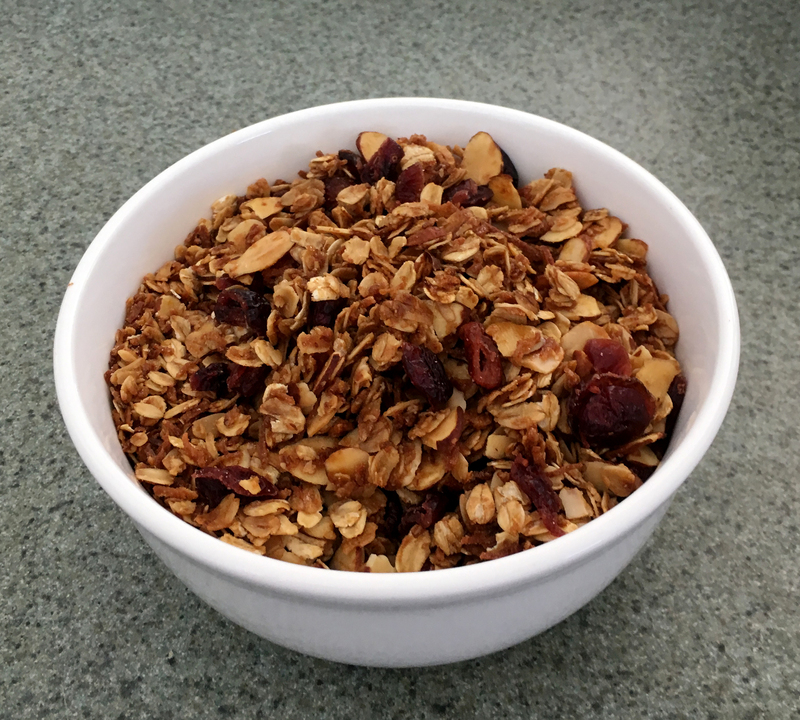 Remove granola from oven and let cool for 15 minutes. Transfer to a large bowl and add dried cranberries. Mix until evenly distributed.